Choosing the right ribbon for your card printer can help you save a lot and increase your card production rate significantly. This is particularly true if you are printing your cards in color. Most card printer users purchase a standard YMCKO color ribbon to print their ID cards and badges and it does make sense for full color single-sided badges. However, if your card application requires color on the front and black on the back, a YMCKO-K ribbon is a lot more cost-efficient. This ribbon is specifically designed for dual-sided card printers and includes an extra Black panel that is used to personalize the back of your cards. A typical application is an organization looking into printing employee badges with a photo ID, text, logo and background on the front and the company�s contact information in black on the back. Another interesting case is when color printing is not required over the entire surface of the card. Many ID cards feature a color ID picture with a logo, the cardholder�s information and a barcode. For those applications, most users get a regular YMCKO ribbon without knowing that there is another solution that significantly reduces the cost per card. Indeed, some manufacturers offer a half-panel color ribbon. In this type of ribbon, the Yellow, Magenta and Cyan panels are half the size of the regular panels of a YMCKO ribbon. Up to half of the card can be printed in full color while black text or images can be printed anywhere on the card. This ribbon is ideal for student IDs or employee badges and also works great on pre-printed cards when only a picture, name or barcode needs to be added. 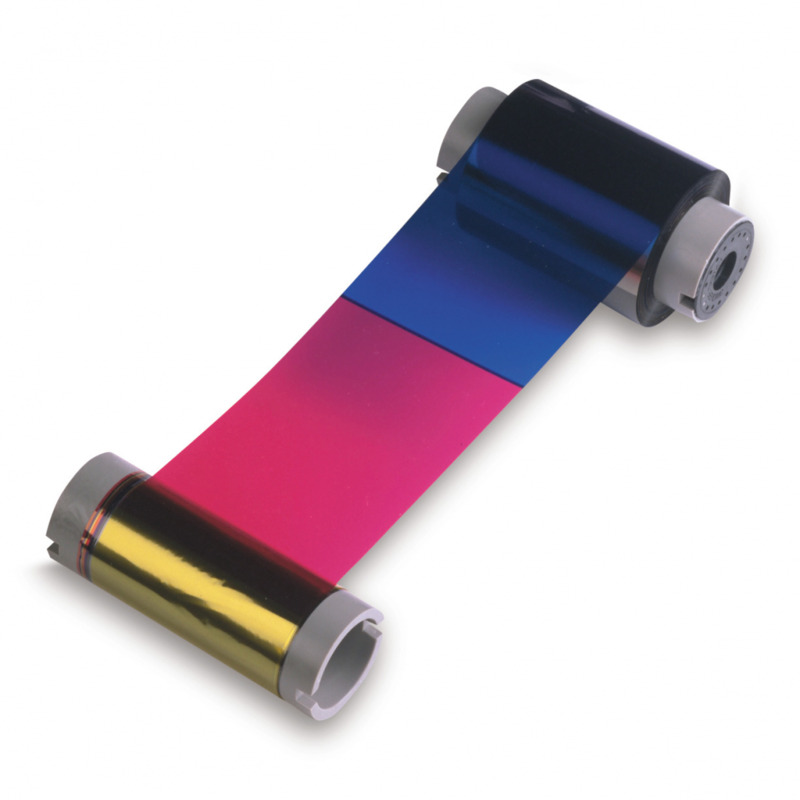 A half-panel color ribbon allows twice the normal ribbon yield of a regular YMCKO ribbon, and is on average 45% cheaper! Users get more prints per roll at a much lower cost per card. In all cases, feel free to call ID Security Online at 1-800-897-7024 to talk to an ID expert and find out which ribbon is right for you.